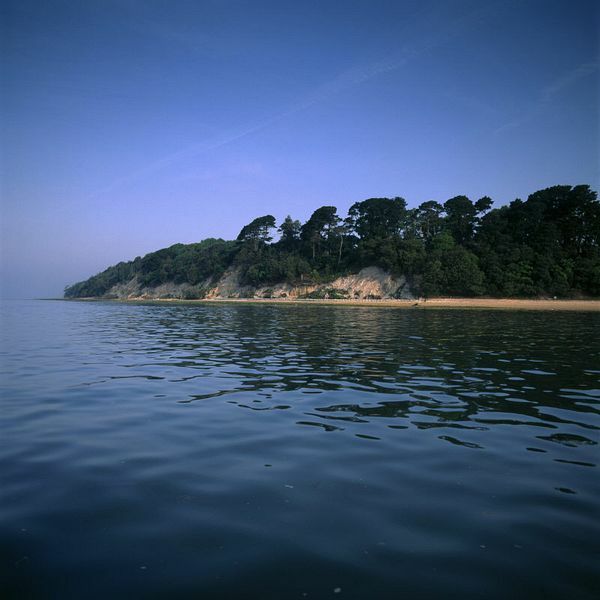 As an island nation we have a special fascination with islands and Brownsea Island is no exception. A visit to this tiny island set in Poole Harbour, the second largest natural harbour in the world after Sydney, is a real adventure. Measuring just 1 mile by 1 miles wide it has a surprising diversity of topography and is a haven for wildlife. The mixture of woodland, unspoilt heath and wetlands are home to many wading birds, endangered red squirrels and Sika deer. 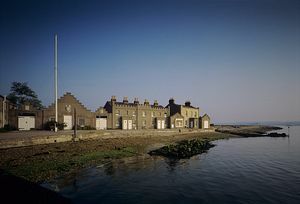 It is an excellent place for bird watching with avocets, dunlin, kingfishers and terns frequently spotted here. 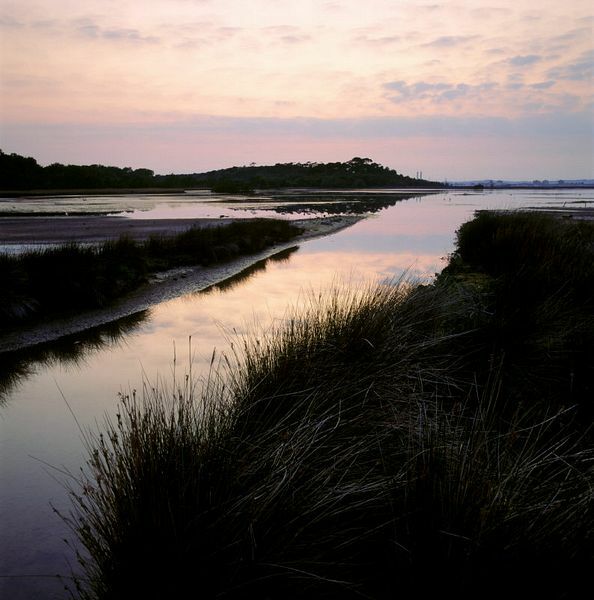 In the words of naturalist Bill Oddie, "Brownsea Island is the best place for seeing wildlife in Dorset". is made up of, along with sand and gravel, was highly prized in the past and tunnels were dug to remove it. Proper settlement probably dates back to the 12th century, although Cerne Abbey certainly had a chapel on the island in the 9th century. Brownsea Island has had many owners. Queen Elizabeth I was recorded as giving it to Christopher Hatton, along with Corfe Castle. Eventually it was bought for a pittance by William Benson in 1726 who made it a botanical reserve. After changing hands several times it was eventually bought by William Waugh in the mid 19th century and he built a pottery with the dream of producing high quality porcelain. Alas, he was only able to produce inferior tiles and bricks and eventually went bankrupt, abandoned the island and emigrated to Spain. However he left several legacies including St Mary's Church and a sea wall around St Andrew's Bay. The next owner, after 20 year of legal wrangling, was Member of Parliament George Cavendish-Bentinck. He kept cattle and indulged in his passion of collecting sculptures before his death in 1891. Visitors can see the Cavendish-Bentinck family tomb in the Brownsea Island church. The next owner was another MP, Kenneth Balfour, who also sunk a great deal of money into the island. He installed electricity but almost destroyed the Castle in the process when an electrical fault sparked a fire. as a camping ground for young boys and so the Boy Scout Movement was founded here on Brownsea Island. The Girl Guides Movement followed a little later. After the deaths of van Raalte and his wife, Mrs. Mary Bonham-Christie bought the island in 1927. She was a reclusive character who abhorred hunting and fishing and let the island go back to its natural state. This was good news for nature conservation, but bad news for the former workers. In 1934 a terrible fire broke out which, fanned by the winds, turned most of the island to ashes. Accident or arson? No-one knows for sure, but there were many disgruntled ex-employees who were glad to see it burn. During World War 2, fires were lit on the island to distract bombers away from Poole, a likely target, and the island was badly damaged. When Mrs. Bonham-Christie died at the fine old age of 98, she bequeathed the island to her grandson, but death duties were prohibitive and the island was claimed by the Inland Revenue in lieu of the taxes owed. 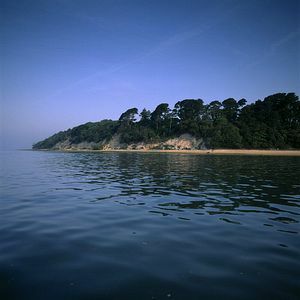 Thankfully, local money was raised and Brownsea Island was saved from developers and handed over to the National Trust. Since 1962 the Dorset Wildlife Trust has managed the Nature Reserve, maintaining a habitat for the endangered red squirrel and other wildlife. Visitors to Brownsea Island can take the short boat trip from either Sandbanks or Poole Quay. It is a perfect escape from modern-day life with excellent walking and nature trails. The hostel offers overnight accommodation and visitors can enjoy sailing, archery, canoeing, orienteering, hiking and conservation work. The South West Coast Path, from Swanage to Shell Bay, runs close to the island. Please note that it is not possible to bring bikes to the island. Cycle racks are available at Poole Quay and Sandbanks Jetty. National Cycle Network Route 25 runs from Blandford Forum to Bournemouth, via Wimborne Minster and on to Poole Quay, along on-road and traffic-free sections. National Cycle Network Route 2 runs all the way from Hengistbury Head, along Bournemouth promenade, which is traffic-free, and on to Sandbanks. Buses are available to all ferry points. Wilts & Dorset 50 Bournemouth-Swanage, alight Sandbanks. Also, Wilts & Dorset Route One (Poole Town Centre bus) links Poole railway station and bus station to Poole Quay. The service runs every 15 mins, Mon-Sat. For more information contact Wilts & Dorset Buses on 01202 673555. Yellow Buses run regular services between Bournemouth and Poole. For more information contact them on 01202 636000. National Express coaches regularly arrive and depart from Poole bus station (adjacent to railway station, mile from Poole Quay). Half-hourly ferry services (not NT) operate from 10am from Poole Quay. For more information contact Greenslade Pleasure Boats on 01202 631828, or, Brownsea Island Ferries on 01929 462383. Half-hourly ferry service (not NT) operates from 10am from Sandbanks Jetty. For more information contact Brownsea Island Ferries on the number given above. To access Poole Harbour from the west take the A35/A350 Dorchester-Poole road. From the east take the A31 Ringwood-Poole road. From the north take the A3081/A350 Shaftesbury-Poole road. OS: SZ041872, limited street parking close to the jetty. Car park near jetty is short stay only. Also a public car park, about 15 min walk from jetty. Brownsea Island is only accessible by boat. Part of the island is leased to Dorset Wildlife Trust, tel. 01202 709445 for information. Please note there is an additional charge to access their reserve. Brownsea Island Castle is leased to the John Lewis Partnership and is not open to the public.